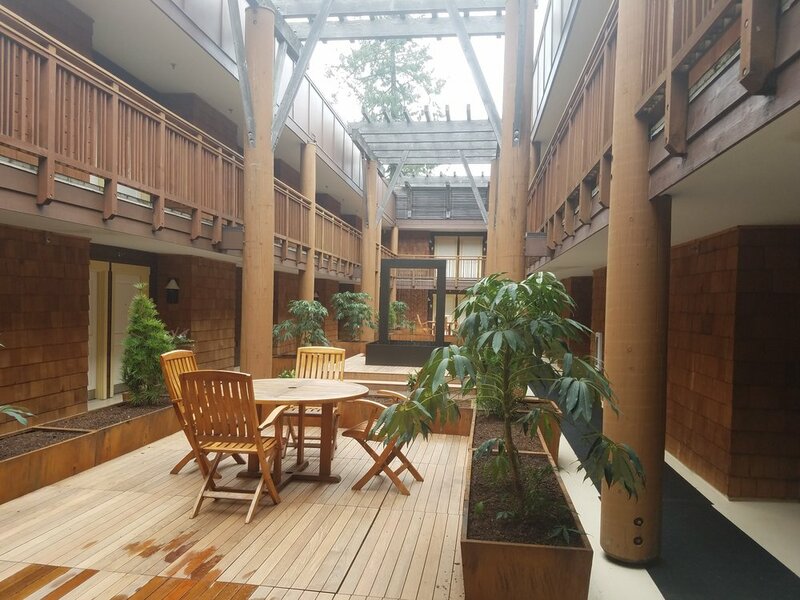 Architerra Designs was tasked with building and installing planters, wood decking, and the center water feature. 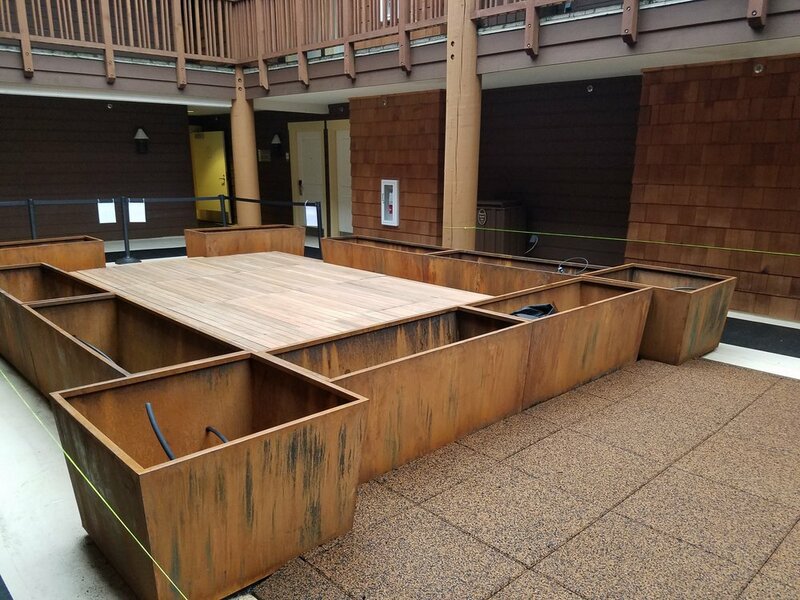 The planters were built using mild steel sheet and pre-rusted. The water feature is built from powder coated aluminum. 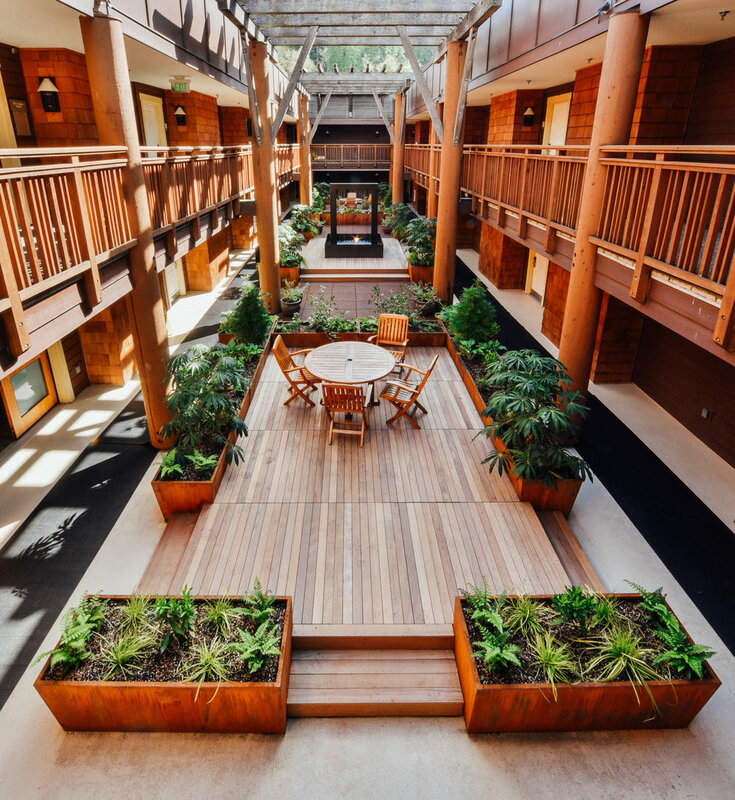 The project took place in an exterior courtyard at the resort in Union, WA. All the material had to be hand carried through the hotel or up several flights of stairs.